It isn’t a full-fledged ban, but baseball is taking action on chewing tobacco. 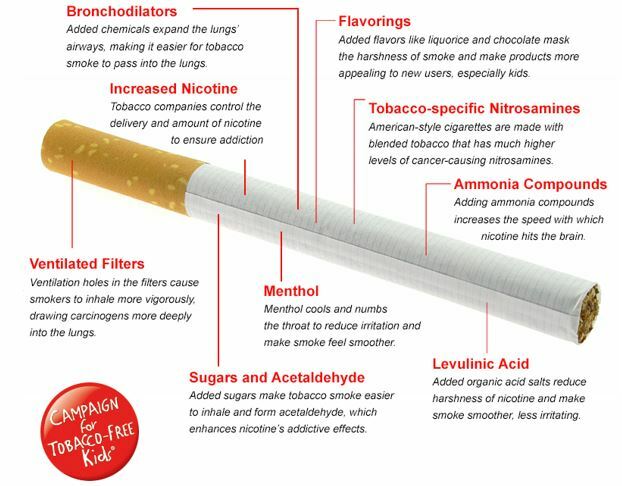 Anti-tobacco advocates — and several Congressmen and U.S. Senators — have been pushing for months to have chew banned by Major League Baseball. It would mean no chew on the field, or during games. Before you laugh, that rule has been in effect in Minor League Baseball for 15 years. (And smoking during games in the dugout is banned by MLB.). The reason for this is plenty of kids get to watch their favourite players chewing during games and that helps encourage them to take up the habit. Well, advocates won a partial victory. During negotiations between the players’ union and MLB, the union did agree to limitations on chewing tobacco. No chewing tobacco tins on the field in players’ pockets and players cannot be seen with chew in their cheek during television interviews. Not everyone is happy with the agreement. “Baseball players are idols to millions of youth, and they should strive to be healthy role models. 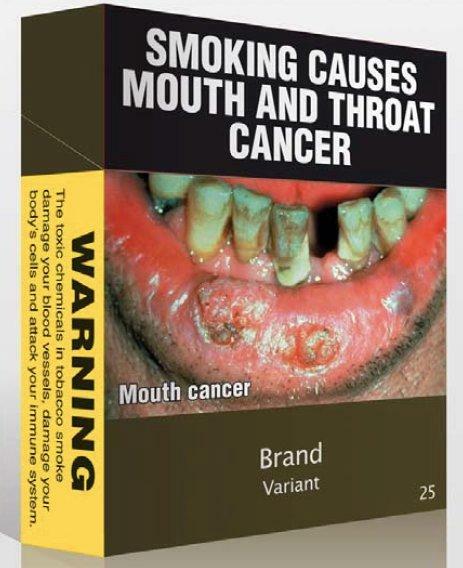 The failure to ban smokeless tobacco is bad for the health of the players and worse for the kids who emulate them,” said Rep. Henry Waxman, D-Calif.
“The fact is that smokeless tobacco use by baseball players will still appear on television screens across the United States,” said Rep. Frank Pallone, D-N.J. This is a compromise, not exactly what we were looking for, but at least it’s a first step. The players’ union was fighting a tobacco ban tooth and nail. 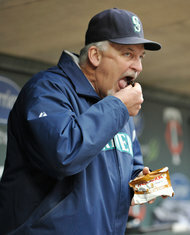 Perhaps this will lead to an eventual ban on tobacco chew in ballparks. Players can chew if they want on their own time, but when they are in an MLB, they are on the clock, and there aren’t very many workplaces that would allow you to chew on the job. The other big news from the agreement is that players will now be tested for HGH, human growth hormone. Sorry, I just think that’s the funniest movie line. Ever. Kentucky? and Indiana? are considering smoking bans? Well, I suppose I believe it when I see it, but a smoking ban did pass last year in a Republican-dominated Kansas, Virginia and North Carolina in the the last year or two, so anything is possible. I was actually genuinely shocked when Kansas passed a strong smoking ban. Very, very conservative state. Kentucky and Indiana are obviously both Republican-dominated states, and Republicans are loathe to pass smoking bans, because many conservatives see them as infringing on small businesses (I’m sure all the campaign contributions Big Tobacco consistently shovels toward Republicans have nothing to do with it.). They also happen to have two of the highest smoking rates in the nation. Not coincidentally, they are also two of the 12 states left with absolutely no statewide smoking ban whatsoever. It will be interesting to see how far these bills proceed. After the bloody battles in Wisconsin, Ohio, Pennsylvania and other states recently, I believe the tide has turned on smoking bans. The opposition is crumbling and there are fewer and fewer “black states” on the smoking ban map. 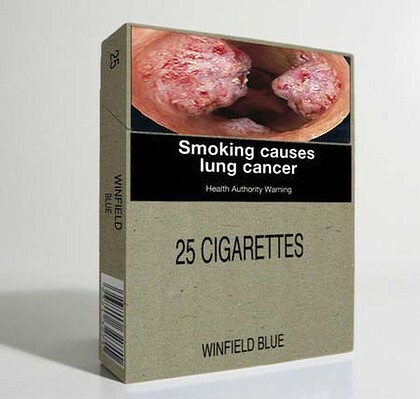 This is an interesting issue that drives the anti-smoking ban lobby crazy, but trust me, it’s real. You’ve heard of first-hand smoke, right? That’s the smoke the smoker inhales. Second-hand smoke? That’s the smoke hanging in rooms that non-smokers have to breathe. There is also something called Third-hand smoke. And it’s real. That is the residue left behind in the walls, the carpet, the furniture, but cigarette smoke. And trust me, it stinks. When we had a chain-smoker move downstairs at the condo, the smoke got in the furniture and the carpet. After we got this smokestack to not smoke directly underneath us anymore, you could still smell it in the carpet and furniture. I had to have the carpet cleaned and the upholstery cleaned to get rid of the reek. I did not send him a bill, though I was tempted. That thirdhand smoke not only stinks, it is genuinely bad for you. Several studies have pointed out, including a new one just came out this week from Israel, states that the residues in thirdhand smoke can cause respiratory problems and more. I can believe it. Before we had the condo cleaned, I felt constant irritation in my throat and nose from the residue, and I could feel those airways starting to clamp up from it. It’s not a joke, it’s real. First on the docket is a month-old story from South Dakota (we gots some catching up to do). In South Dakota, the State Legislature passed a smoking ban a couple of years ago. Bar and casino owners passed around a petition to put the issue to a public vote. That petition went to court and it appeared would be overturned because it came out something like 13 valid signatures short. Well, the judge wasn’t going to stop the ballot measure over 13 lousy signatures, so he approved the ballot measure, putting the smoking ban on hold for a year. I’m not wild about any tobacco measure being put on the ballot because the industry has a history of defeating measures at the ballot box by pouring millions into state elections (Read: Oregon, California cigarette tax increases). On Nov. 2 (toldja I’m in catch-up mode), South Dakota voters approved the ballot measure with 64 percent of the vote, one of the widest margins I’ve ever seen. Similar measures in Ohio, Nevada and Arizona all passed with less than 60 percent of the vote. At least one restaurant is already reporting that their business has gone up since the smoking ban went into effect. This map is helpful. Even in those black states, most major cities have smoking bans. The last I checked, San Antonio, Texas, is the biggest city in the country with no smoking ban. What do those black states mostly have in common? They are all Republican-controlled states. Republicans hate rules and regulations, except of course when it comes to gays and women wanting control over their own bodies. When I first started blogging about this, probably fewer than a dozen states had smoking bans. How far we’ve come. Well, it’s the tentative return of Pepe’s Non-Smoking Party Lounge, where we talk about smoking, tobacco, cigarettes, pot, health, lung disease and whatever else pops into the scrambled eggs of our minds. One thing that will be different from the previous incarnation of The Lounge is I won’t be talking about Facebook stuff; there won’t be much personal information and I won’t be discussing local politics. That’s what Facebook is for. So, “Confederate” from Kentucky, you won’t find out much useful information about me here. Here’s my agenda in a nutshell. I lost my dad to lung cancer when I was 16. He smoked four packs a day and was 49 when he died. He smoked the day that he died, hooked up to an oxygen tank. Later that day, he drowned in his own bodily fluids. My mom has had cancer, a heart attack and for the past several years has suffered from COPD. She gets pneumonia and bronchitis every winter. COPD is almost exclusively caused by smoking. She has smoked as much as two packs a day. I figure between my mom and my dad, they have probably smoked considerably more than 1 million cigarettes in their lifetimes. To learn more about COPD, click here. 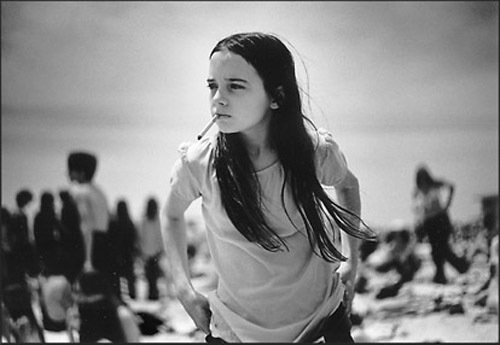 I grew up exposed to as much as six packs a day of other people’s (mostly my parents) cigarette smoke. I estimate that I ingested the equivalent of 25,000 cigarettes by the time I turned 16. I had constant ear infections, had to have three surgeries to combat the ear infections, and to this day have trouble with my ears. I grew up with chronic bronchitis which later evolved into a kind of asthma. I got pleurisy one year and pneumonia twice. Eventually, it cleared up. I haven’t had a single bout of bronchitis in probably 15 years and now I climb mountains for a hobby. So, a few years ago, after watching my mom pawing through her luggage, desperate for a cigarette after being hospitalized for a heart attack, then begging me to stop at a store to buy her cigs as I drove her home from the hospital, then after getting word three months later she was back in the hospital with pneumonia, I decided to get more involved in anti-tobacco issues and start up an anti-tobacco blog. The blog did all right, but my readership never really got beyond the teens. I’m hopeful with more “pings” and more Internet contacts and more knowledge of how to build up readership, it will get a few more readers. We’ll see. This will be a work in progress and I really am an neophyte with WordPress, so bear with me.